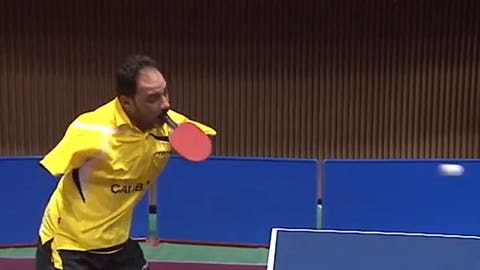 Ibrahim Hamato plays table tennis better than you do. And the Egyptian does it with no arms. He recently got to play with some of the world’s best at the world championships in Tokyo, showing off his amazing skills. Watch how he does it.